I'm not doing much radio today as Olga and I celebrate our 10th wedding anniversary. Some of you might like to see a picture of us taken today in our present to each other - a new kitchen! 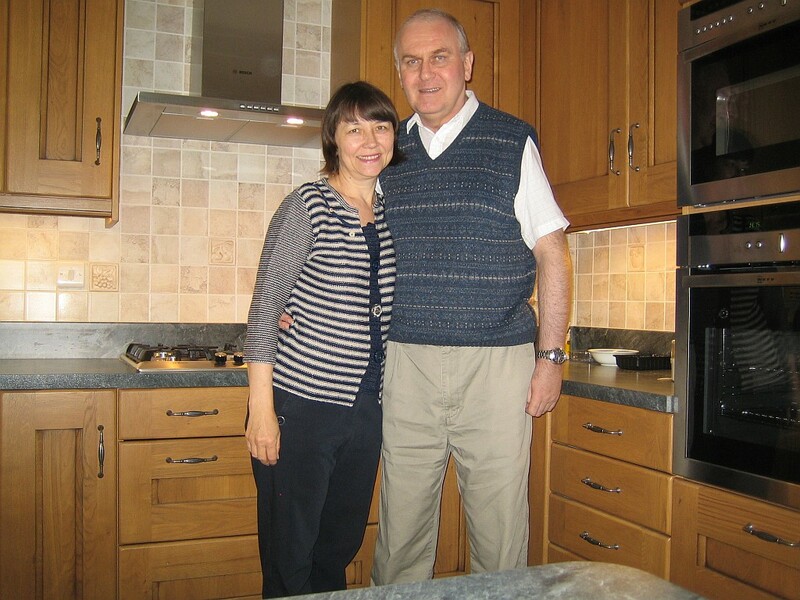 Thank you, Olga, for a wonderful ten years. I hope the next ten will be even better! 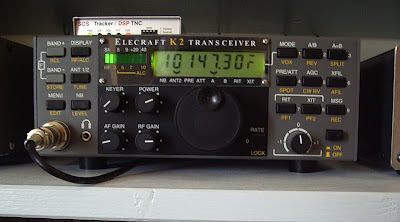 Ever since I received the Elecraft KX3 it has suffered from poor loudspeaker audio. It buzzed and distorted at any but the lowest volume level. Various suggestions were made and considered but the culprit seemed to be the loudspeaker itself. 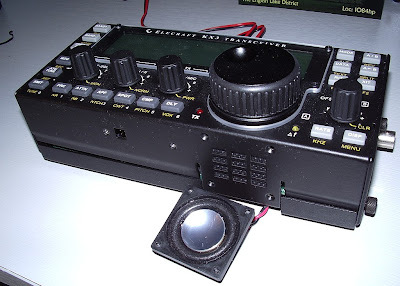 Elecraft spotted my description of the problem on the KX3 Yahoo group and offered to send a new speaker. After confirming to my satisfaction that the speaker was indeed the culprit I accepted the offer. The replacement came in the post this morning. It didn't take long to plug the new speaker into the KX3. To my dismay, that buzzed and distorted too. It didn't seem to be quite as bad as the original, though, so I decided to install it. That was when I hit a snag: the holes in the speaker chassis had not been tapped to take the mounting screws. I was stymied. Thinking I would have to put the old speaker back, I had a good look at it. That's when I noticed a split ring lock washer stuck to the magnet where it joined the speaker cone. Aha! I thought. The culprit! 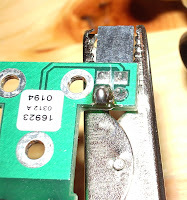 As I was soldering the speaker leads back on I noticed something else that should not have been there. A second lock washer! I fished it out with the end of a jeweller's screwdriver and put it with the other one. I hoped that would be the solution and prepared to reinstall the original speaker. 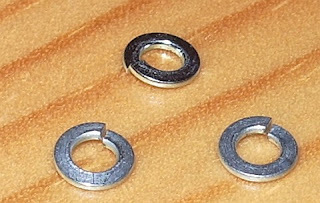 While I was thinking about that I was examining the replacement I had been sent and I noticed what looked like the edge of another split ring lock washer. After a bit of fiddling with the jeweller's screwdriver I managed to fish it out. Yes. 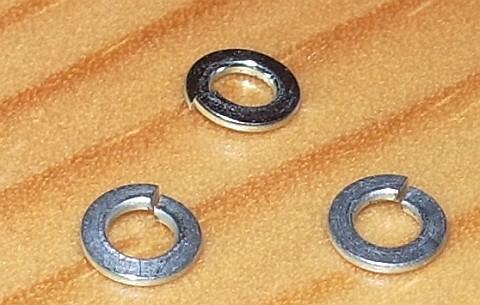 it was a split ring lock washer, stuck to the magnet of the replacement speaker! I'm sure some of you are thinking that my shack must be a tip with bits of hardware strewn all over the place, but I assure you that isn't. I can easily see how a small part could get dropped inside the KX3 during assembly and migrate to the speaker's powerful magnet. But how one came to be stuck to the inside of the replacement in a sealed envelope straight from Elecraft will probably forever be a mystery. I'm happy to report that the audio from the KX3 is now perfect at any reasonable volume, with the original speaker reinstalled in it. If any UK KX3 owner needs a replacement speaker then it's yours for the asking. But you'll have to tap threads for the mounting screws into it. Rumour has it that a 70cm version of the DVAP Dongle is on the way. Rumour also suggests that the price will be the same as for the 2m dongle. For those who would like to use Icom's new ID-31 D-Star handie and have no UHF D-Star repeaters in range, the wait may soon be over. A couple of days ago Chris, HB9DDF sent me an email asking how to configure APRSIS32 to work with the SCS Tracker / DSP TNC. Digging through my configuration files to get the information he needed I thought: why not put the 30m APRS gateway back online? It had been off since I went into hospital last year and the K2 and magnetic loop were hardly ever used. I don't know if propagation is lousy or whether things have changed since I was last on HF APRS but there seemed to be a lot less activity on the 30m APRS frequency today. An hour went by without my receiving anything. I did, however, hear quite often the "whooshing" sound of Robust Packet Radio (RPR) stations a few hundred Hz down. So I decided to configure the TNC to work in RPR mode. Robust Packet is a mode obtainable in 300baud and 600baud versions that has been designed to take advantage of the capabilities of digital signal processing (DSP) in order to obtain reliable communication over a normal less than perfect HF path. To anyone who has experience only of traditional 300baud FSK packet RPR has too be seen to be believed. Packet after packet was decoded and displayed by APRSIS32 while conventional packet transmissions on the adjacent channel just flickered the DCD lamp and were discarded due to errors. Robust Packet is a proprietary mode developed by SCS and is only supported by SCS TNCs. As far as I know no description exists that would enable someone to develop a PC implementation that uses a sound card. In that respect it is pretty much like Icom and D-Star. I would much rather use an open standard. But RPR works where the old-fangled 300baud FSK invented to work on the analogue modems of 30 years ago doesn't. I think it is in keeping with the spirit of ham radio to use state of the art technology where it provides clear benefits to communication. So G4ILO is now part of the Robust Packet Network. Ed, PE5ED and Wijn are developing a project called the IARL. They are trying to collect as much data as they can on repeaters and beacons. This will be freely available via the website and also through an app for smartphones. They already have quite a lot of information for western Europe though I have already spotted a couple of errors relating to local repeaters. If you can help with corrections or sources of data they would like to hear from you. KX3 #110 has had a problem ever since I received it. The audio through the speaker has always sounded badly distorted and buzzed at anything above a very low volume. Judging by comments in the KX3 Yahoo group this was not an uncommon problem. A couple of solutions were proposed, including removing the cloth between the speaker and its grille. As I could get perfect audio on headphones I decided to wait until the definitive solution was published and until I plucked up sufficient courage to take a screwdriver to the radio. I opened the case and poked around with a finger to see if I could find what was vibrating. The buzzing was definitely coming from the speaker area so I concluded that the problem was the speaker cone vibrating against the grille cloth. I posted a message on the KX3 Yahoo group to see if I could determine the chances of a successful cure if I removed it. The replies suggested that the prospects were good. I also received an email from KX3 Support offering me a replacement speaker. Excellent customer service! This morning I was feeling brave so I opened up the case and tried to remove the speaker. I took out the 4 screws but the clearances around the speaker are so tight it looked as if I might have to take the KX3 to pieces to remove it. With a bit more jiggling it came free (phew!) so I partially reassembled the two halves with the speaker poking out the front of the radio. I applied power and attached an antenna and various howling and squawking noises emerged from the speaker. So the culprit really was the speaker! Perhaps it had been damaged during assembly (not by me, as this was an assembled radio.) I told KX3 Support that I would have to take up their offer of a replacement speaker. The KX3 will remain in two halves until I receive and install it. Several times a week I have been on the brink of writing this. It's time to get it off my chest. I curse whoever it was that decided to place the caps lock key to the left of the A on the keyboard. For what seems like one time in two when I go to type a letter "a" I hit caps lock instead (or as well.) I hAVE USually typed several more letters before I realize my mistake and have to bACKTRack, to the accompaniment of loud cursing.  A couple of decades ago, in the days of MS-DOS, it was possible to write a little program called a TSR (from Terminate and Stay Resident.) This program could intercept your keystrokes and convert them to anything you liked. I wrote one that trapped Shift+3 and turned it into the pound sign instead of the US default hash (#). Microsoft provided a utility called KEYB.COM that could do this but it occupied several K of memory and in those days you counted every byte. I don't know if that is possible in Windows. But I'd really love a program that could intercept the caps lock key and turn it into an A (or rather, an a) unless you gave it a long press!  Among users of the Baofeng dual band UV-5R HT a popular topic of discussion is what antenna to buy for improved performance. The general consensus sees to be that the stock Baofeng antenna is not much good. But no-one wants to spend $30 on a $40 radio to buy an antenna made by Diamond or Comet. The trouble is that half the antennas sold on eBay seem to be fakes that are about as much use as a piece of wet string. A popular choice recently is known as the "$3.79 antenna." 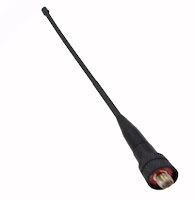 This antenna - which also goes by the name "$3.42 antenna" after a recent price cut by one eBay vendor, has an SMA-F connector and a very flexible 6.5" whip. It's very similar to the Nagoya NA-666 but with a different base. 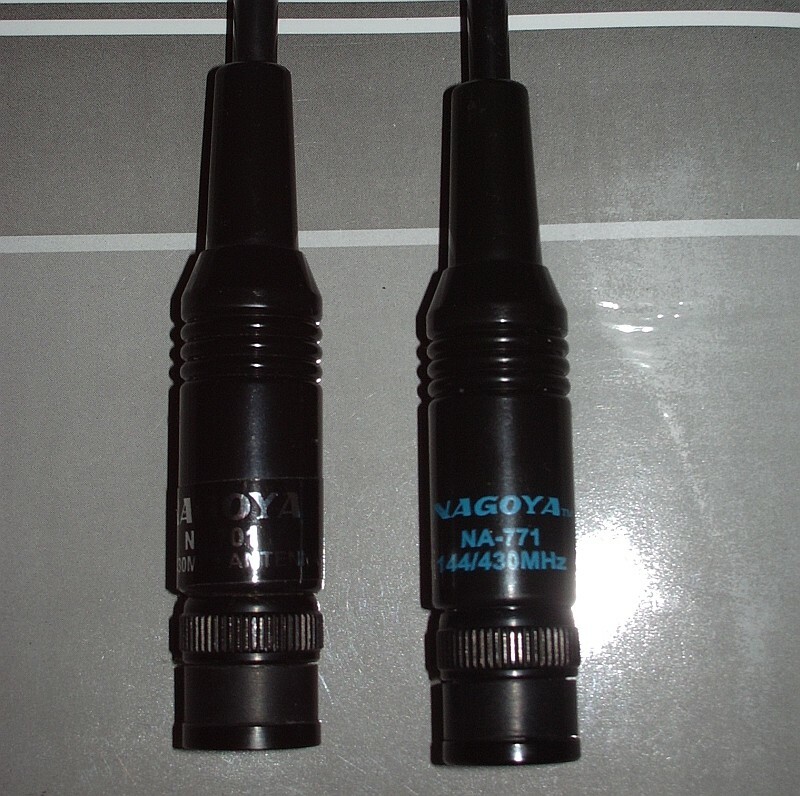 You can find sellers by searching eBay for "female universal antenna for Kenwood". Both the Baofeng stock antenna and the $3.79 jobbie appear to be made by the same manufacturer. Printed round the SMA connector of the Baofeng antenna is the words "FM/136-174/400-480MHz". The $3.79 antenna has the wording "FM/136-174/400-470MHz" in identical print but on a red not a black background. Despite the aspersions cast on the effectiveness of the UV-5R stock antenna, I found that it isn't half bad. In fact, it is one of the most accurately tuned rubber duck antennas I have come across and performs remarkably well for a 12cm (4.5in.) long antenna. 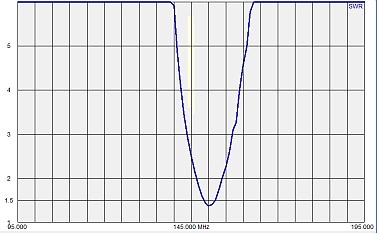 As the SWR plot shows, the VHF resonant point is exactly at 145MHz. I am unable to plot SWR at UHF but I can measure it at a fixed frequency and it was 2:1 at both 145MHz and 433MHz. The $3.79 antenna appeared to be tuned to 154MHz. The tuning is not as sharp as the Baofeng antenna and the SWR at 145MHz was just over 3:1. I measured a similar SWR at 433MHz. The actual SWR of handheld antennas will vary depending on whether the radio is standing on a desk, being held in the hand or worn on your belt so an SWR of 3:1 is nothing to be alarmed about. Even the best HT antenna will exhibit a poor match in some situations. Measuring SWR can tell you whether an antenna is working as well as it should but it is no guide to on-air performance. After all, a dummy load will have a perfect 1:1 SWR and yet radiate nothing. I measured the field strength of the signal radiated by the UV-5R at a distance of 1m using both antennas. I also tried a known genuine Nagoya NA-701 which is about the same length as the $3.79 antenna. There was nothing to choose between any of the three antennas at UHF. On 2m the $3.79 antenna was possibly marginally worse than the Baofeng UV-5R standard antenna. The Nagoya NA-701 was 3dB better, equivalent to doubling the transmitter power. My conclusion after performing these tests is that buyers of the UV-5R (and the UV-3R which comes with an identical stock antenna) should save their money and use the antenna that came with the radio. To try to improve on this involves dabbling in the shark-infested waters of eBay and risking ending up with a worthless fake antenna that will need to be larger to give any improvement in performance. The $3.79 antenna is easily worth its price but it is 3 inches longer than the stock antenna and offers no significant improvement. I carried out my first modification to the KX3 - or rather to the KXPD3 paddle. It was the mod to solve the missing dah problem. I hadn't experienced it, but it was one of those issues that would rear its head at the most inconvenient opportunity so I decided to do the mod. This involved disassembling the KXPD3, cutting one track and bridging two pins on the key's circuit board. The KXPD3 came apart easily, in fact rather too easily as it disintegrated into its component parts before I had a chance to see how it went together. That's the trouble with taking apart something that has a spring in it! I then cut the track indicated and bridged from one pin to the adjoining track. Why is it so difficult to make a solder bridge when you actually want to. I reassembled the KXPD3. Before I did I dismantled a couple of 409Shop complimentary ball point pens to see if they would provide an alternative spring for the paddle. They did, but they didn't seem to be weaker than the original (the only way to alter the tension with this key is to change the spring) so I reassembled using the original. After that I connected the KX3 up to a dummy load to try out the modified key and confirm that I hadn't broken it. The key still worked, and my sending was still as bad as it was before, so all was as expected. I hade a tune around on 40m and heard one of the special even stationsfor the Olympics, 2O12L. He was loud enough to be an easy contact with the QRP KX3 - but I was getting no transmit output! Eventually I switched to the K3 and worked 2O12L followed in quick succession by the Welsh Olympic special event station 2O12W. After I had completed the cotacts I switched back to the KX3 to find out why I was getting no SSB output. I found that VOX was working, the rig was switching to transmit, but I was still getting no output. If you are a UK amateur and you like Chinese radios you'd probably never think of buying them from anywhere other than direct from China or Hong Kong, most likely using eBay. 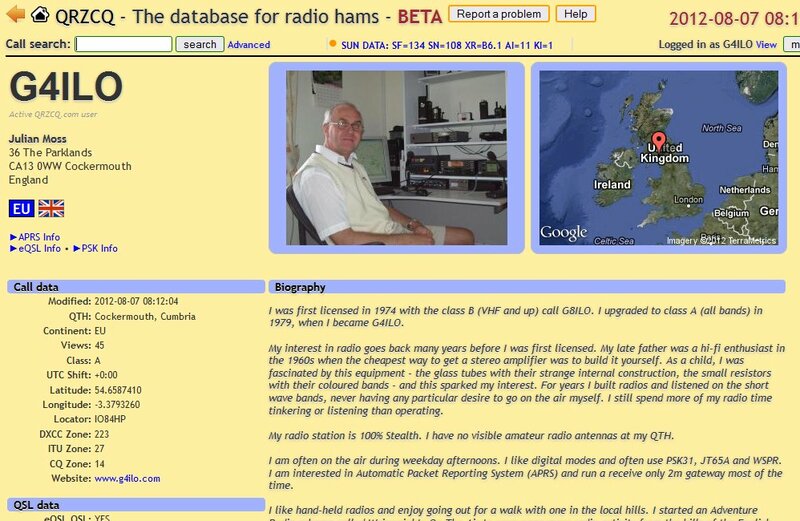 Ham radio dealers in Britain are widely regarded (rightly or wrongly) as rip-off merchants who work out the price by replacing the dollar with a pound sign and then adding on a bit more for good measure. Their pleas that the UK price includes VAT and the cost of providing a warranty usually fall on deaf ears. In one of the discussion groups someone mentioned buying a radio from a British firm called Sinotel UK. I went to their web site and saw that they carried several models of hand-helds from China, including a new one I hadn't seen before: a TYT UVF9 (pictured right.) But what particularly caught my attention was their prices, which were little more than what I have been paying buying on eBay. Their cheapest model, the Vero Telecom UV-X4 (similar to the Baofeng UV-3R) was just £29.99 (yes, a brand new dual band radio for 30 quid.) A UV-5R eas £34.99. The radio that had caught my eye, the TYT UVF9, was £47.99. It would cost me $68.50 from 409shop and I'd have to wait a couple of weeks for it. I am not associated with Sinotel UK and have not even bought anything from them but if I want yet another Chinese handy to add to my collection I probably will. For more years than I care to remember I've always used qrz.com to look up calls I've worked or heard on the bands. Recently I've noticed that the site wants me to log in every time I try to access the details of a call. Perhaps my memory is faulty, but I'm sure that you didn't used to have to log in to see the basic details, and the site remembered your login for at least a week. Now it seems you have to log in every day if you aren't a subscriber. This isn't very convenient, even though I understand the reason for it (presumably to encourage more people to subscribe.) I now hardly ever visit qrz.com. Using Google to search for a call I found that one of the first results returned was from a site called qrzcq.com. I didn't at first notice the different URL. QRZCQ has a callsign lookup similar to QRZ.com - it even uses the same URL format - but doesn't require a login to access the details. The site's database already holds quite a bit of information about me - all of it already in the public domain but I won't ask where it came from! I have just registered with the site so as to edit and add to the information shown on the G4ILO page. I don't know who is behind the new site but they seem to have done a good job on it. The pages look a lot more attractive than qrz.com and they aren't stuffed with ads - though it is early days yet and I suppose the desire to "monetize" the site will come eventually. But right now qrzcq.com looks like a venture that is well worth supporting, visiting and updating your own page. DX Sherlock, the website that has the very useful real-time propagation maps derived from DX Cluster and WSPR spots, has moved to a new site. The addresses vhfdx.net, vhfdx.info and dxsherlock.com will now redirect to dxmaps.com. If you have bookmarked the site you will need to update your bookmarks. Buying radio gear on eBay is like gambling. It's addictive, but often you lose. You win often enough to keep you coming back in the hope of finding that absolute bargain. Is the antenna on the right a fake? I thought that I would buy a dual-band handheld antenna that was long enough to have a bit of gain but not too long to use in the shack. (I have several gain antennas but at over a metre in length they are not suitable for indoor use.) I have a Nagoya NA-701 which works very well for its length (22cm) so I thought I would get a NA-771 which is 40cm in length and ought to perform a couple of dBs better. I know only too well that there are a lot of fake antennas on eBay so I bought this one from 409shop, or rather from radiobanker which is one of the eBay IDs used by 409shop. The general consensus is that 409shop is a trustworthy trader and doesn't sell fake stuff. When the antenna arrived I was concerned to see that instead of the silver-on-black label showing the make and model number the details were printed on in blue. I have had other fake antennas with printed-on labels, even ones with the same shade of blue so it was not a good omen. When I tried the antenna on one of my handies I found that it performed no better than the much shorter NA-701. I put it on my AA-200 antenna analyzer and found that the SWR at 145.000MHz was about 4:1. There were two dips to the HF of the 2m band, the best of which was at 195.000MHz with 2.7:1. This is not the worst I have found but it explains why the antenna did not perform optimally. For comparison I looked at the SWR of the NA-701 with the silver-on-black label. This was a really good match - better than 1.5:1 at 150.000MHz though closer to 2:1 at 145.000MHz. Given that the resonance at any given time will be affected by conditions surrounding the hand-held antenna that's close enough. So is the NA-771 from radiobanker a fake or not? The plastic sleeve the antenna came in bears a silver hologram label that says "Nagoya", and the name "Reuex Industrial Co. Ltd." That is the name of the company that manufactures Nagoya antennas and apparently they do use blue lettering. So I conclude that this antenna is probably genuine and performs as well as it was meant to, which unfortunately happens to be not as well as I hoped. The Nagoya NA-771 is not worth its extra length. FYI using an SWR/power meter I measured the SWR of the two antennas at 433.000MHz to be: NA-701 3.4:1, NA-771 4:1.